A photographic foray into Assam, Nagaland and Arunchal Pradesh. One of the more remote areas of the Sub-Continent with interesting cultural diversity. The tribes of Nagaland were formerly headhunters but, like so many remote areas of the world, they have been converted to Christianity by missionaries. Only the older people retain their tribal roots and traditions. The old head hunting warriors are almost all gone but those who remain are fascinating to photograph as they still retain their facial tattoos. In Arunchal Pradesh homogenisation has also taken place and again it is only the oldest of the populace who retain their traits. Here the women have facial tattoos and nose plugs, relics from times gone by. Assam is renowned for its tea estates and the former colonial bungalows retain a great deal of their charm and architectural elegance. 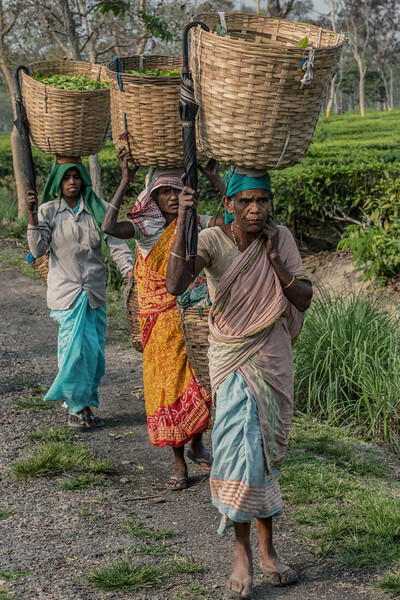 We were able to photography tea picking and traditional brick making using kilns and visited Majuli, the largest river island in the World, on the Brahmaputra. The photos, I hope, speak for themselves.